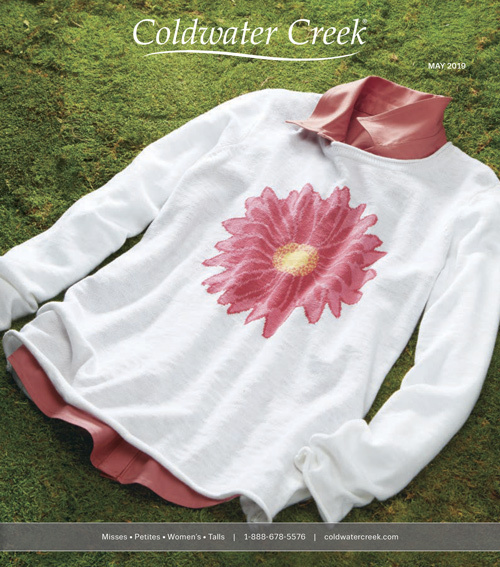 Be the first to see our newest styles in the next Coldwater Creek catalog. Just fill out this form and we'll put you at the top of the list. Thanks for joining our Coldwater Creek family! Please allow 7-10 business days to receive your catalog. Yes, I'd like to receive emails to learn about Coldwater Creek products, sales and special offers. You can unsubscribe at any time from Coldwater Creek email by following the instructions at the bottom of each email.